The busiest time of year has come for me. The fall is the best season because, it’s cooler, has the two best holidays (Thanksgiving and Halloween), is filled with beautiful fall colours and marks the end of humidity. However it is also jammed packed with birthdays, holidays and social events. I am booked solid until mid-November. Yet despite being so busy I manage to still find time to knit and weave. 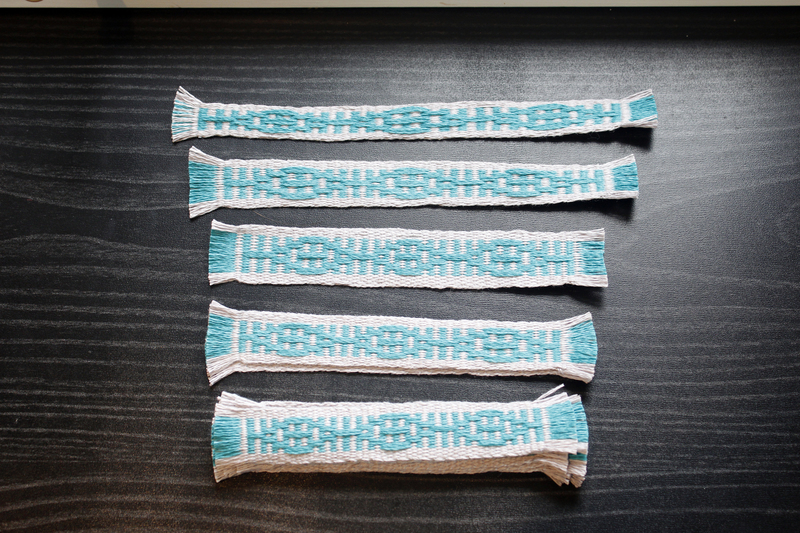 I’m discovering a lot about inkle weaving, like the importance of beating down the weft and keeping the edges straight. As you can see in photo if you don’t beat down the weft tight enough the result is very different. Also not keeping the edges consistent causes the band to get wider and wider. 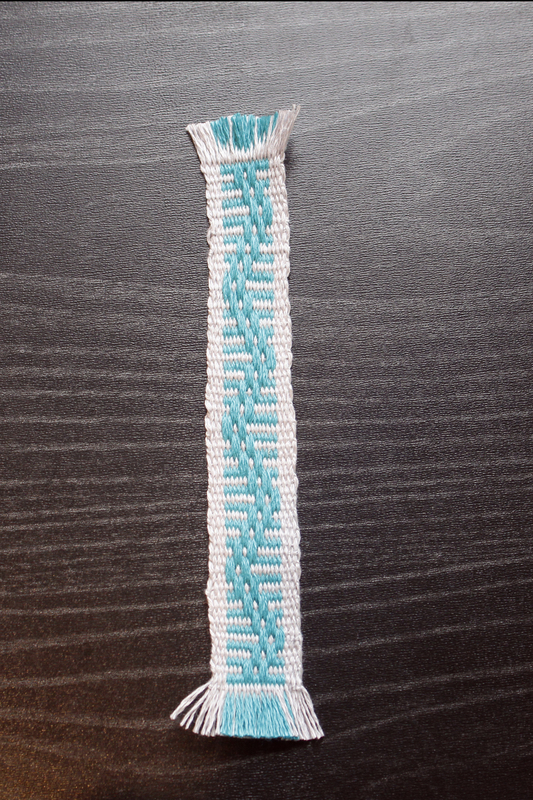 It’s been a quite a struggle to keep my weaving consistent. I hope with enough practice I can do better. This is how the final bookmarks turned out. I love the look of the picked up threads to create a pattern. There are several ways to create patterns in inkle weaving. I’ve only taught myself three ways and can’t wait to try out the others. I took this photo to show the difference between the two bookmarks I’ve made. 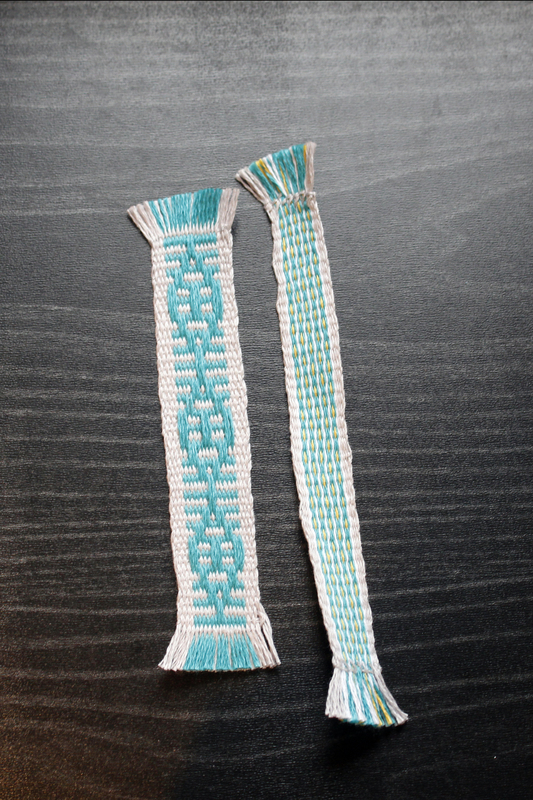 The thinner one I made uses single strands of 2/8 cotton yarn while the diamond patterned one uses 2 strands of 2/8 cotton. 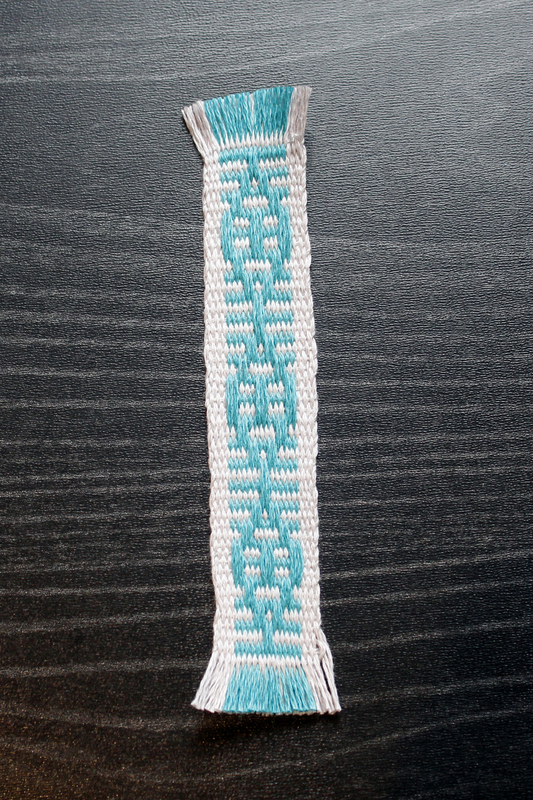 This last bookmark I did a different pattern simply because I wanted to see how it would look. I will definitely be making a series of these ones. I finally purchased more yarn in a variety of colours. I have a great resource for weaving parts and yarns thanks to Camilla Valley Farms.